Heading to the Zoo project and want to be turned into your animal alter ego? Or are you partying in Ibiza on a stag or hen? We can help personalise your look. Whether you want to make a fashionable entrance at Ocean Beach Ibiza or you are planning a themed party night. 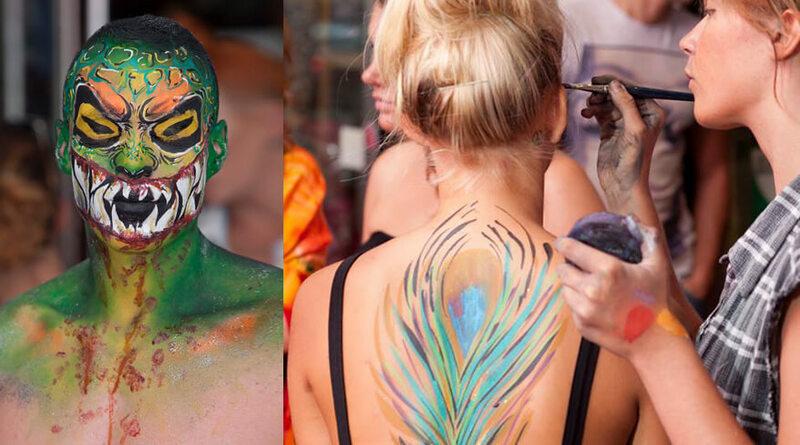 Let our body painters and glitter artists customise your look. Don’t forget we stock a unique selection of fancy dress accessories, festival style clothing, flower headbands, wigs, latex animal heads, Indian head dresses and much much more!